Kindle Fire is one spiffy little device with all the things most people want from a tablet packed into an easy-to-hold package: e-mail, web browsing, players for video and music content, an e-reader, a great online content store, access to tens of thousands of Android apps, and so on. Kindle Fire costs much less than the lowest priced iPad: $199 versus $499. Just keep in mind that at the top end, you’ll pay $829 for a 64GB 3G iPad. Granted, Kindle Fire doesn’t offer a 3G option and has less memory; but although it’s inexpensive, it’s a very well-made device. How does Amazon offer a quality device at this low a price? Quite simply, they’re making a bet that they’ll make up in content sales what they lose on the cost of the hardware. And you, the consumer, are the winner! There is a free version of Quickoffice that comes pre-installed on your Kindle Fire. This app offers a mini-suite of productivity products, including a word processor, spreadsheet, and presentation software. Shop at Amazon for music, video, apps, books, and periodicals. Store Amazon-purchased content in the Amazon Cloud and play music and video selections from the Cloud, instead of downloading them to your device. Send documents to yourself at a Kindle e-mail address that’s assigned when you register your device. 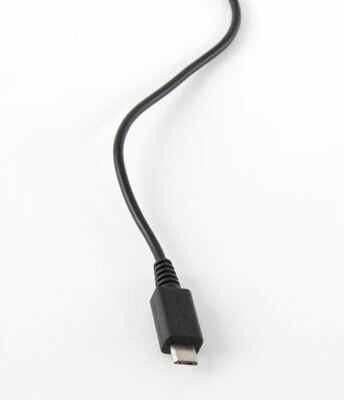 Sideload content from your computer to your Kindle Fire by using a micro-B cable that you can purchase separately. 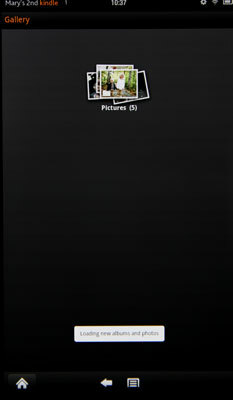 Using this cable, you can copy photos, music, videos, and documents (Word or PDF) from any source onto your Kindle Fire.